2-channel amplifier Silent operation due to fanless cooling concept 2 level controls Speaker switch-on delay Protected against short circuit and overheating LEDs for indicating overload ..
3-channel digital PA amplifier Class D concept Adjustable crossover frequency for sat and sub 3 level controls Temperature-controlled fan Protective circuit with LED indication for prote..
4-channel digital amplifier Class D concept Silent operation due to fanless cooling concept 8 Ω bridged operation possible Mute function for each channel 4 level controls 1 LE..
Kete artikull mund ta keni vetem me porosi. Ju lutem na kontaktoni per cmimin aktual ditor, pasi qe mund te kete ndryshime. 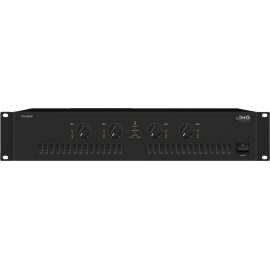 4-channel digital PA amplifier 4 x 50 W Class D con..
Kete artikull mund ta keni vetem me porosi. Ju lutem na kontaktoni per cmimin aktual ditor, pasi qe mund te kete ndryshime. The new generation of digital PA amplifiers from IMG STAGELINE impress..
Kete artikull mund ta keni vetem me porosi. Ju lutem na kontaktoni per cmimin aktual ditor, pasi qe mund te kete ndryshime. 4-channel mono mixing amplifier, with professional features for g..
Kete artikull mund ta keni vetem me porosi. Ju lutem na kontaktoni per cmimin aktual ditor, pasi qe mund te kete ndryshime. 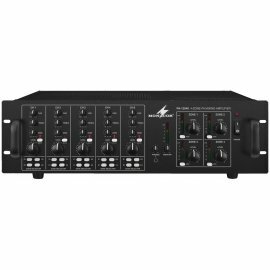 4-channel mono mixing amplifiers, with professional features for ..
4-channel professional PA amplifier, with integrated crossover network and limiter. Different operating modes can be selected (mono, channel groups, 8 Ω bridged, crossover network, sub..
Kete artikull mund ta keni vetem me porosi. Ju lutem na kontaktoni per cmimin aktual ditor, pasi qe mund te kete ndryshime. 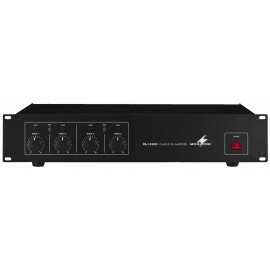 4-zone mono mixing amplifier, with 4 active 120 W outpu..
Kete artikull mund ta keni vetem me porosi. Ju lutem na kontaktoni per cmimin aktual ditor, pasi qe mund te kete ndryshime. 4-zone mono PA mixing amplifier 1 x 120 W Silent operatio..
Kete artikull mund ta keni vetem me porosi. Ju lutem na kontaktoni per cmimin aktual, pasi qe mund te kete ndryshime. 5-zone digital mono PA mixing amplifier, with integrated internet radio..
Kete artikull mund ta keni vetem me porosi. Ju lutem na kontaktoni per cmimin aktual ditor, pasi qe mund te kete ndryshime. 5-zone digital mono PA mixing amplifier, with integrated internet..
Kete artikull mund ta keni vetem me porosi. Ju lutem na kontaktoni per cmimin aktual ditor, pasi qe mund te kete ndryshime. 5-zone mono PA mixing amplifier, with integrated MP3 player. ..
Kete artikull mund ta keni vetem me porosi. Ju lutem na kontaktoni per cmimin aktual ditor, pasi qe mund te kete ndryshime. 5-zone mono PA mixing amplifiers 1 x 120 W (PA-1120) 1 x ..
Kete artikull mund ta keni vetem me porosi. Ju lutem na kontaktoni per cmimin aktual ditor, pasi qe mund te kete ndryshime. 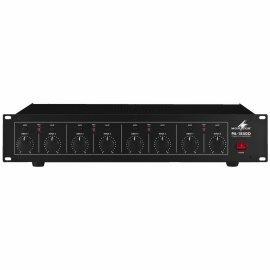 5-zone mono PA mixing amplifiers 1 x 240 W (PA-5240) 1 x ..
Kete artikull mund ta keni vetem me porosi. Ju lutem na kontaktoni per cmimin aktual ditor, pasi qe mund te kete ndryshime. 6-zone mono PA mixing amplifiers 1 x 240 W (PA-6240) 1 x ..
Kete artikull mund ta keni vetem me porosi! Ju lutem na kontaktoni per cmimin aktual, pasi qe mund te kete ndryshime! 6-zone mono PA mixing amplifiers 1 x 240 W (PA-6240) 1 x 480&..
Kete artikull mund ta keni vetem me porosi. Ju lutem na kontaktoni per cmimin aktual, pasi qe mund te kete ndryshime. 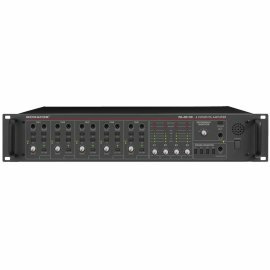 6-zone mono PA mixing amplifiers 1 x 240 W (PA-6240) 1 x 480&nb..
8-channel digital amplifier Class D concept Silent operation due to fanless cooling concept 8 Ω bridged operation possible Mute function for each channel 8 level controls 1 LED pe..
Kete artikull mund ta keni vetem me porosi! Ju lutem na kontaktoni per cmimin aktual ditor, pasi qe mund te kete ndryshime. 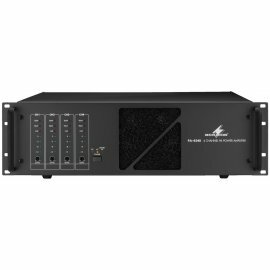 8-channel digital PA amplifier 8 x 50 W Class D concept w..
Digital stereo PA amplifier, with 5 switchable line inputs. Class D concept Silent operation due to fanless cooling concept High power reserves due to generously dimensioned toroidal co..
Digital stereo PA amplifier Class D concept 2 operating modes can be selected (stereo or bridged) Limiter function can be switched on additionally 2 level controls Temperature-controlled.. 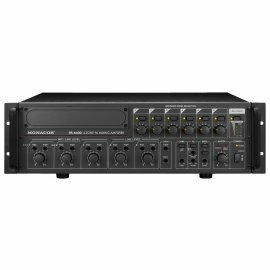 The new generation of digital PA amplifiers from IMG STAGELINE impresses with a high power capability and high energy efficiency. Other features include a silent operation and a low weight which ..
Kete artikull mund ta keni vetem me porosi! Ju lutem na kontaktoni per cmimin aktual ditor, pasi qe mund te kete ndryshime. 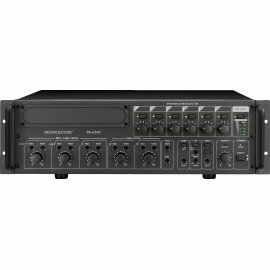 High-power mono PA amplifier 1 x 960 W Additional, adjust..
Kete artikull mund ta keni vetem me porosi! Ju lutem na kontaktoni per cmimin aktual ditor, pasi qe mund te kete ndryshime. Mono PA power amplifier 1 x 240 W Switchable 400 Hz ..
Kete artikull mund ta keni vetem me porosi! Ju lutem na kontaktoni per cmimin aktual ditor, pasi qe mund te kete ndryshime. Mono PA power amplifier 1 x 480 W Switchable 400 Hz ..
Kete artikull mund ta keni vetem me porosi! Ju lutem na kontaktoni per cmimin aktual ditor, pasi qe mund te kete ndryshime. 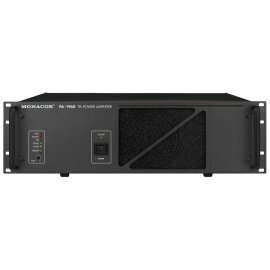 Mono PA power amplifier 1 x 240 W 2-way tone control Sw..
Multi-channel PA amplifiers, with integrated limiter. 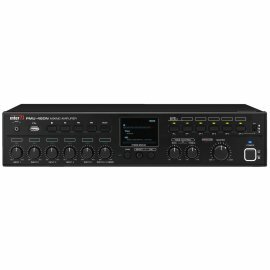 STA-1508 = 8 channels STA-1506 = 6 channels STA-1504 = 4 channels Balanced inputs High-pass filter, low-pass filter, can be switched..
Multi-channel PA amplifiers, with integrated limiter. 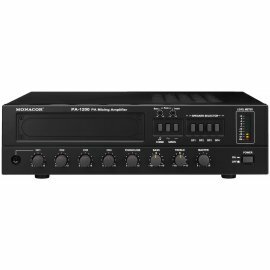 STA-1508 = 8 channels STA-1506 = 6 channels STA-1504 = 4 channels Balanced inputs High-pass filter, low-pass filter, can be switch..
Kete artikull mund ta keni vetem me porosi. Ju lutem na kontaktoni per cmimin aktual ditor, pasi qe mund te kete ndryshime. Mono PA power amplifier 1 x 120 WRMS Silent operation due..
Kete artikull mund ta keni vetem me porosi. Ju lutem na kontaktoni per cmimin aktual ditor, pasi qe mund te kete ndryshime. 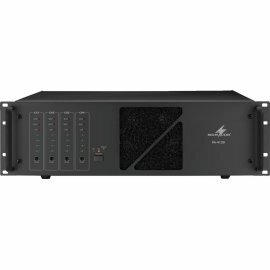 PA power amplifier 2 x 240 W Routing switch for parallel ..
Kete artikull mund ta keni vetem me porosi. Ju lutem na kontaktoni per cmimin aktual ditor, pasi qe mund te kete ndryshime. 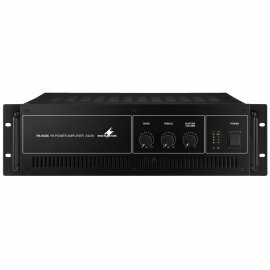 PA power amplifiers 4 x 240 W (PA-4240) 4 x 120 W (P..
Kete artikull mund ta keni vetem me porosi. Ju lutem na kontaktoni per cmimin aktual ditor, pasi qe mund te kete ndryshime. 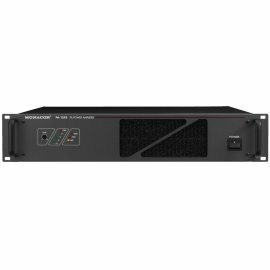 PA power amplifiers, for application in professional PA systems a..
Perforcues zani PA1240 me 5 zona 5-zone mono PA mixing amplifiers 1 x 120 W (PA-1120) 1 x 240 W (PA-1240) 5 zones, can be controlled individually Chime, cont..
Kete artikull mund ta keni vetem me porosi. Ju lutem na kontaktoni per cmimin aktual ditor, pasi qe mund te kete ndryshime. 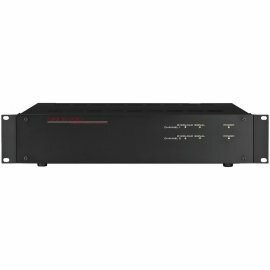 Powerful and Energy-saving The digital mono PA power amplifier PA-125..
Professional stereo PA amplifier, with integrated 2-way crossover network and limiter. 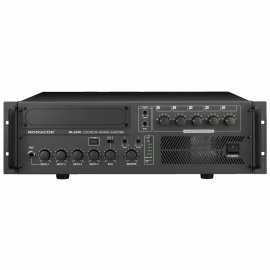 LCD for indicating temperature, operating mode, power Adjustable crossover network: 45-960 Hz/4..
Professional stereo PA amplifier, with integrated crossover network and limiter. 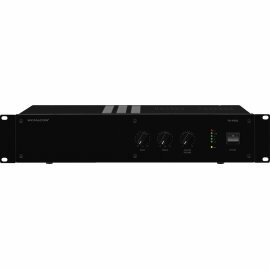 LCD for indicating temperature, operating mode, protective function Integrated crossover network: 120 H..
Professional stereo PA amplifier, with integrated crossover network and limiter. 2 Ω stable Class H technology with power-optmised PSU technology LCD for indicating temperature, oper.. The Series of High-performance Digital Amplifiers Professional equipment consisting of high-quality components, ideally suited for fixed installations and mobile use. Special features: Class D c.. Stereo PA amplifier, with integrated limiter. LCD for indicating temperature, operating mode, power 2 operating modes can be selected (stereo or bridged) Limiter function can be switched .. Stereo PA amplifier, with integrated limiter. LCD for indicating temperature, operating mode, power 2 operating modes can be selected (stereo or bridged) Limiter function can be switche..